Grupo Marival is celebrating Texas Week from June 10th through the 17th. Tour operator Funjet will fly 150 Texans to the destination to enjoy the party, which will also be attended by hotel guests and the local public. 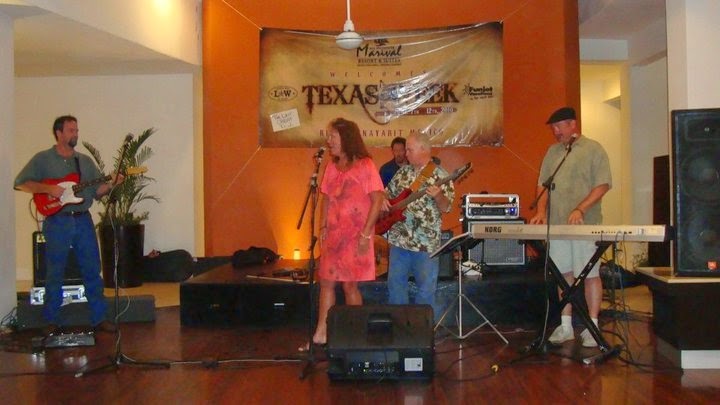 It’s time for the 10th edition of the Texas Music Festival, to be celebrated from June 10th through the 17th. This traditional event returns to the Riviera Nayarit thanks to the collaboration of Grupo Marival, Funjet and the Convention and Visitors Bureau (CVB). This year, tour operator Funjet is bringing 150 Texans to their party in the Riviera Nayarit—a record number confirmed by Bea Barbero, Sales Director for Grupo Marival. “People are noticing the difference and they’re getting used to it. Texans hold events like this in other domestic destinations, but now they’re focusing more and more on the Riviera Nayarit. There’s been a lot of promotion for the destination and its hotels,” explained Barbero. The event showcases Texas culture for an entire week, including fun contests, plenty of Texas cooking and, most importantly, traditional Texan music. The bands start playing every day at 9:30 p.m. as the finale to the day’s activities. “We want to thank the CVB for hosting the musicians. They’ve been lending us this fantastic support for several years so we have the resources to bring them to the destination,” enthused the Sales Director for Marival Group. Those who’d like to enjoy the festivities merely need to by a day pass. For more details please call Marival Resort & World Spa at (322) 226-9740.